Everyone knows that you can train a dog or a cat. Are you aware of the fact that you can train a guinea pig as well? Well it’s true and it is not really all that difficult! You will just have to commit to your training and always keep in mind the goal set in place. Guinea pigs are very cute and cuddly; it is hard to imagine that an animal so adorable can destroy your house. Well you better start to believe it because these adorable little creatures tend to have some very destructive habits. One of these bad habits can be the guinea pig chewing on everything in sight that it can reach inside of your home. It can be quite embarrassing when company comes over for dinner and you are spending the entire evening trying to hide chew marks on all of your furniture. Do not worry, there are certain measures you can take that will train your guinea pig to stop destroying your things. Keep in mind, the guinea pig is not chewing on things to intentionally ruin them. The animal is trying to fulfill a natural desire that comes from its instincts. Do not think that your pet has a personal vendetta for you because that is not the case. You need to find the underlying source of the behavior and find a way to break the habit. Guinea pigs are highly intelligent mammals and it is sometimes fun to be able to teach the pet guinea pig some tricks and responsive reactions when called upon. This can all be achieved if the owner is very patient and calm when going about the training session and ensuring their tone of voice used is controlled and soothing. Incorporating a lot of praise when the desired outcome is reached would help the guinea pig feel good. 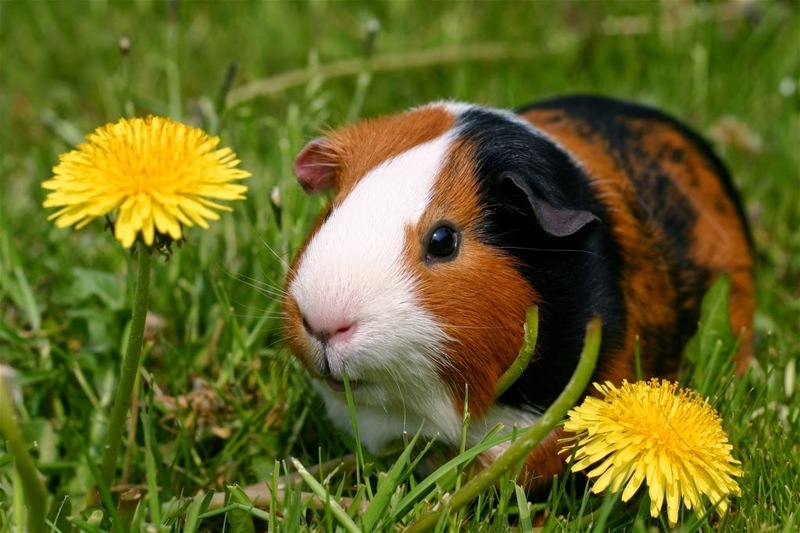 A guinea pig can be trained to follow simple commands mainly by using food and other treats as an incentive. By slowly recognizing its name when it is called, the guinea pig will initially associate this with getting rewarded with treats. Eventually, the guinea pig will be able to recognize the owner’s voice enough to display some level of excitement and respond accordingly. Guinea pigs can also be taught to sit up and beg. Although this may seem cruel initially, it will eventually be viewed as quite entertaining. 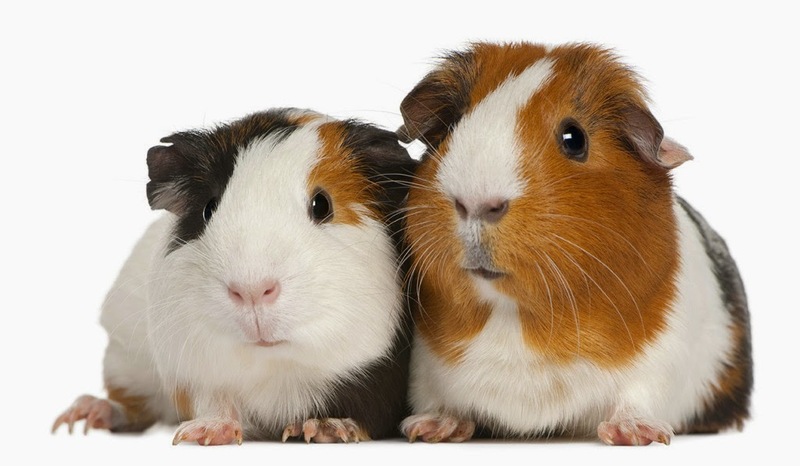 The sitting up position is one that is natural for guinea pigs thus getting them to do this for a treat would not be stressful for them and it would not be damaging to any of their tiny muscles. Litter box training is also something that can be taught to a guinea pig quite easily as they are highly intelligent creatures, however they do not always resort to using the litter box and sometimes there are “accidents” outside. By placing the litter in the general area where the pet goes for its toilet routines, the guinea pig will eventually use the facility for this purpose. The owner should always remember to ensure the training sessions are calm and friendly in nature so that the pet is not in distress in anyway. Giving it a treat when the desired results are shown and ignoring it when the desired results are not forth coming is definitely better than punishing it. Training a guinea pig will require time ever day. You should devote at least thirty minutes a few times a day to training your guinea pig. With enough time and commitment you will surely begin to see results with the behaviors of your guinea pig in no time at all. It is also a good idea to introduce a routine into your guinea pigs life. This will help the guinea pig feel calm and secure. If you want to make any progress with the training of your guinea pig it is important that they feel content in their surroundings. One of the best ways to accomplish this is doing the same things at the same time every day. Begin feeding the guinea pig at the same time every day and clean their cage the same day of every week. These small creatures feel like they are in a world of danger at all times due to their small size. A routine will help them realize that there is no danger or threat of being harmed and they will be more open to training. Always remember to keep a soothing tone, no matter how frustrated you may become with the process of training your guinea pig. Trust me; if you try hard enough you will have the best behaved guinea pig around and you will be much less stressed as things around your house will no longer be getting destroyed. It is not the animal’s fault that it has these habits. You have to remember that it is just a guinea pig and that it is your responsibility as the owner to curve these habits. Another thing you may want to consider is getting the guinea pig chewing blocks. This will help a great deal with their chewing. Depending on the type of training to be embarked upon, the equipment needed will usually be quite aligned with the specific needs required. This equipment can usually be sourced from pet shops and other stores that might cater to the needs of pets. You can also find this equipment through other small mammal owners that no longer need their equipment. This may actually be the preferred method because you will likely spend much less money on the equipment is you buy it used rather than new. As stated before, there are different types of training equipment designed for training animals for different things. There is equipment for training your animal to be more agile while there is equipment for training your small mammal not to nibble on the cage. There is equipment for training rabbits to use littler boxes while there is equipment to help train mice’s decision making skills. One of the cool things about small mammals is the fact that some of them can be highly intelligent and you can train them to do many awesome things. You need to decide what you are going to be training your small mammal to do and then you will know what type of equipment you need. As the health and wellbeing of most pet animals are now becoming a priority for the pet owners, there is an increased number on sales on equipment that is designed for the very purpose of encouraging the mammal to be fit and healthy. These may include a whole range of equipment such as lumber jack new trainer mazes, lumber jack workout play sets, lumber jack lodges and many other items that would ideally cater to keeping the pet fit. 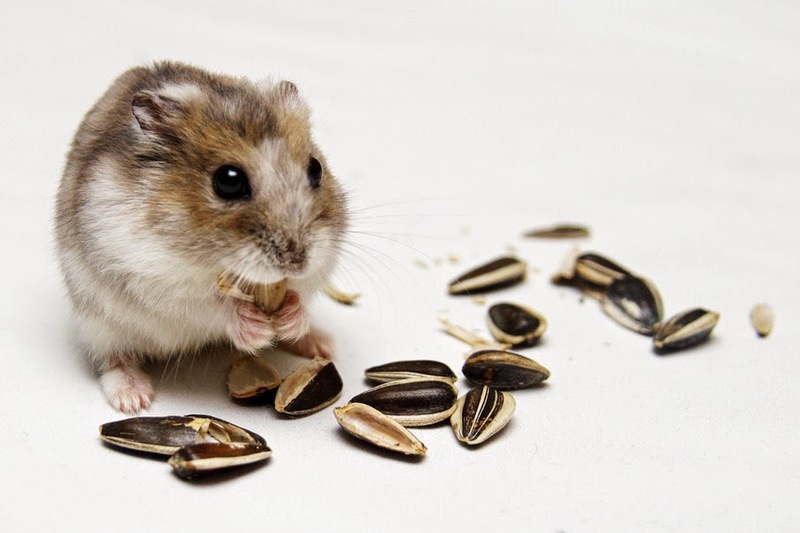 There are also several different options for training hamsters and gerbils to stay fit and these could include the more conventional methods of running on different types of circular mills or the newer attractions like running around inside a ball. All these prove to be pieces of excellent physical training equipment which will help to keep the small mammals fit and healthy. Exercise wheels are also a very popular choice and it seems very effective and certainly keeps the pet occupied and keeps them from being bored, especially since some breeds thrive better solo and with the least amount of actual physical human contact possible. Other training equipment would be related to other areas of the pet life such as their toilet training regimen. This is a little harder to achieve in most cases but with some patience and perseverance, any mammal can be taught to use the appropriate equipment provided for the toilet facilities, thus minimizing the need to be weary of “accidents” around the house. Mice are extremely intelligent and can be trained with many items you can find just laying around your house. For example, you can take some books from your bookshelf and arrange a small obstacle course that consists on small stacks of books that are at different heights. It is important that you supervise your mouse as it does this obstacle course and make sure that it is safe at all times. You need to make sure that the stack of books is sturdy and that there is no chance of the books toppling down onto the mouse. You also do not want to make the stack of books to high. You need to remember the scale of the animal to the size of the book. Stacks of one or two will do just fine. Hamsters are also very intelligent mammals. 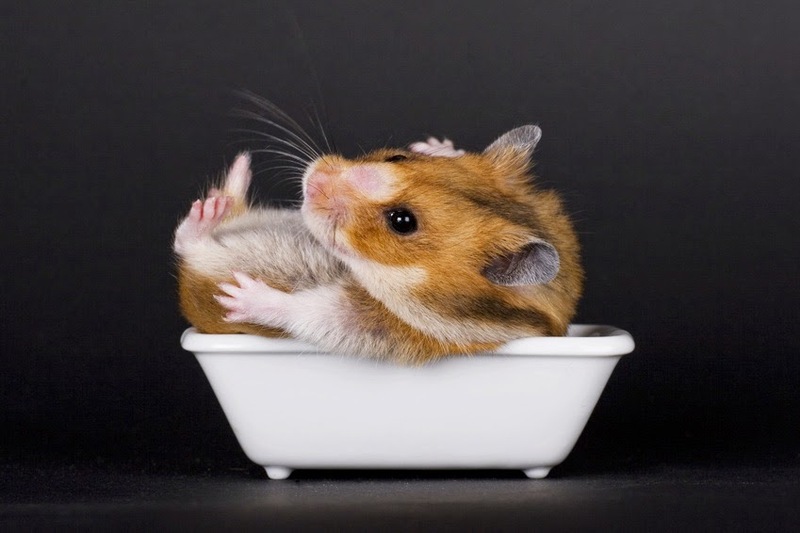 You can train the agility and problem solving skills of a hamster by using certain types of training. This equipment usually consists of exercise wheels. There are also sets of planks and other objects like ladders, teeter totters. All of these pieces of training equipment will train the hamster to focus its balance and agility. Just as with a mouse you may want to set up an obstacle course for your hamster. 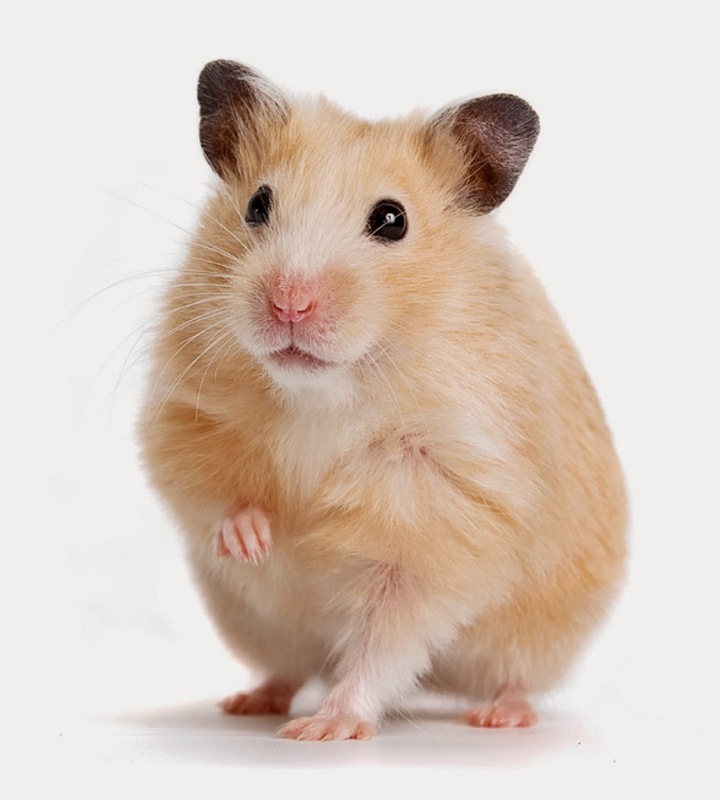 Like always with other animals, you need to make sure that all of your training equipment is secure and stable to ensure that the hamster will not get hurt. The last thing you want to do is injure your pet. If you have a rabbit that has a chewing problem there is also training equipment that you can get for that. There is a spray that is made that you can get from your local pet shop or from an online market that deters animals from chewing. 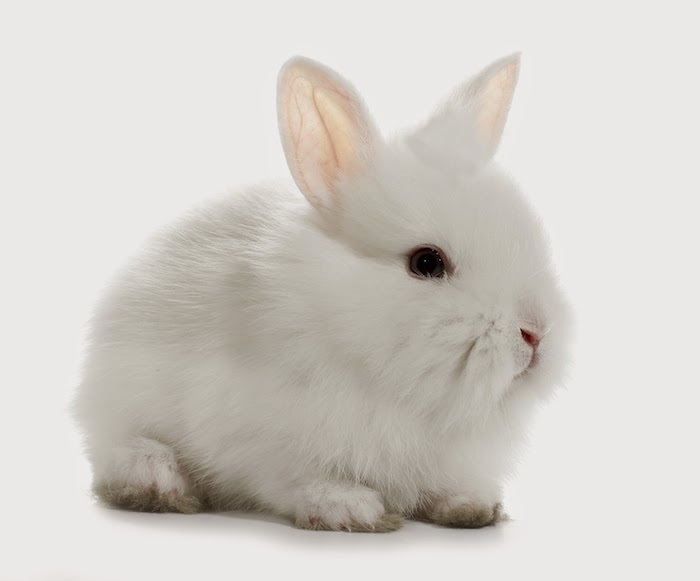 Rabbits tend to have a problem chewing on things around the house such as cords on the floor. This can be very dangerous for the rabbit as well as the entire household. If the rabbit chews all the way through the wire it will surely be injured and if the wire sparks it may start a fire. That is the last thing you want! This deterrent spray can be very helpful with this problem. It leaves a bitter taste in the animal’s mouth when it chews on things that have been sprayed by it. The best part is it that it is quick drying and odorless. Most of the training equipment you will find for smaller mammals is pretty basic. Aside from the mazes and other types of intricate training devices most of the training equipment for smaller mammals can be found around your house. It is not like dog training equipment where there are harnesses and other types of mechanical training devices. Although a mouse would look cute on a leash! Just search around online and in your local pet shops. There are always new pieces of training equipment for all types of animals of being created. Just give them a try a find something that works for what you are trying to accomplish. There are several different issues to deal with when it comes to basic training for small mammals. These issues are important as it almost always has a direct impact on the small mammal. Sometimes when not handled well the impact can be so severe that the pet’s very life is put in jeopardy. Being small in nature is already a minus point when it comes to training the animal. Therefore, any methods chosen would have to be done with the size of the animal being taken into consideration and this does cause complications as most training methods are designed for larger animals. However, on the positive side, these creatures are very intelligent and are capable of catching on very fast and adapt very well. In order to train a particular small mammal to adapt to conditions provided, the pet owner must first take the time and effort to study the basic requirements of the breed in question and then closely emulate any of the necessary aspects that would be required for completing the comfort and safety of the animal through the training period. The handling of the animal during the training sessions is very important as most of these animals would not respond well initially to any human contact and may even perceive such advances as a threat. However if the pet owner manages to train the small mammal in areas such as feeding times, toilet training and behavioral displays to the desired levels required, then the quest would have been considered successful by any standards. Often it takes a lot of patience and time coupled with the appropriate techniques and equipment to make this happen. Any disregard of well-meaning advice and proven methods of training will usually result in detrimental effects for both the small mammal pet and the owner. There are some basic things that you are going to want to train your small mammal. One of these is going to of course be letting you handle the mammal. This will come easy, but it will require time and effort. Basically, you will have to spend time every day handling the small mammal for short periods of time until the mammal becomes comfortable with you handling it. Once the small mammal is comfortable with you handling it you must continue to handle the mammal daily or else all of that work would have been for nothing. Another basic thing you are going to want to train your pet to do is to be potty trained. This is especially true when it comes to rabbits that re allowed to roam freely around the home. This may seem quite difficult to you but it really is not. Rabbits naturally like to go to the bathroom in one place. All you really need to do is keep them locked in an area until they use a litter box. The rabbit will continue to use the litter box after that, even if you let them roam the house. A lot of training a small mammal comes down to patience and time. You can basically train your small mammals to do anything you want. You just have to commit the time and effort that it takes. Trust me though, all of that effort and time will pay off when your small mammal is very well behaved and trained. The sad truth is that many people often end up neglecting or getting rid of small mammals. The reason for this is the fact that they were not able to train them or did not want to put forth the effort it takes to train them. Do not be one of these people! You must always remember that you made a commitment to that small mammal when you brought them into your family. It is now your responsibility to train the animal. Keep in mind, you chose the small mammal for a pet, it did not choose you! In future posts will go into further detail about training small mammals. We will go over different types of small mammals and will discuss the different training methods that can be used on different small mammals. We will also go over things to be cautious of while training as well as things to look out for during the whole process. Pay close attention provided because it will surely be of great help when it comes to training your small mammal to break its bad habits.